I had planned on sharing so much more this week, both in terms of photos and thoughts. And I have more than enough to share. That's not the problem. Yesterday I spent a lot of time troubleshooting why sometimes websites loaded at decent speeds yet I couldn't upload anything. As I am in mainland China, I wondered if the Great Firewall had something to do with it, since I was using a VPN to access blocked sites. The problem significantly worsened. Browsing online with my VPN had become painful. And even one inconvenient trick I had found to upload photos no longer worked. However, visiting sites not blocked in China while not using a VPN was rather painless. In fact, I'm not sure I've ever seen video from a U.S. site load so quickly in China before. I am still not sure what is causing the problem. But I suspect my best hope is in something that has worked in similar cases before: change locations. Fortunately, at least in regards to this issue, I will be doing that soon. 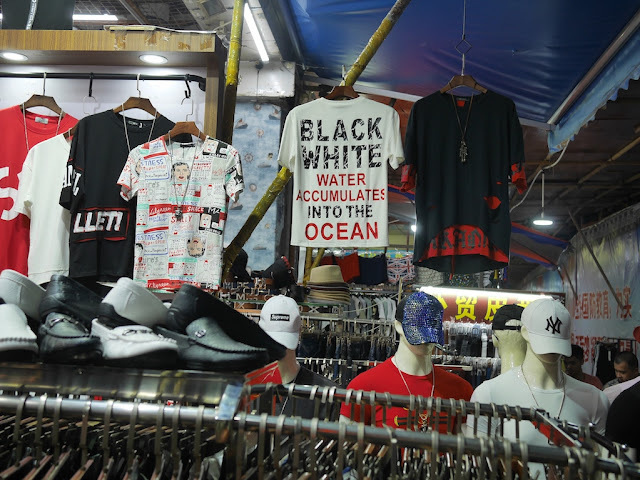 Along with what I wrote five days ago, I also shared a photo of a shirt on sale at Dongmen in Shenzhen. 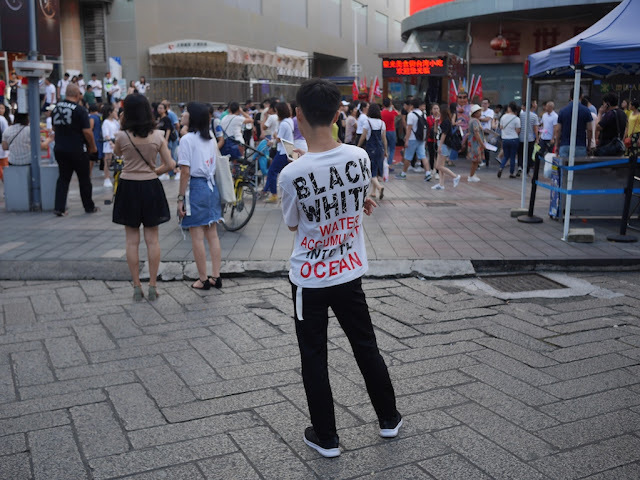 Two days ago at Dongmen I saw somebody wearing the same shirt. Tonight I finally managed to upload it. For now, here is a shirt I saw tonight for sale at Dongmen in Shenzhen. There were other bars, at least some of which are popular with foreigners, showing matches at the same mall. For part of the third place playoff match between Belgium and England, I went to The Brew. Even though I showed up late, I was still able to get a table with a great view. 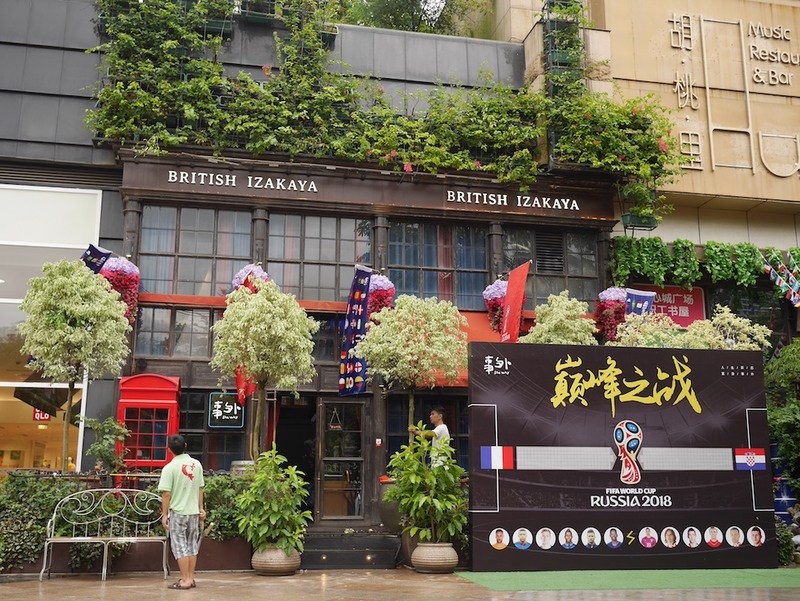 For the championship match between France and Croatia, I decided to watch from my hotel room, in part due to it beginning at 11 p.m. China time. Fortunately, my a combo of a fast enough internet connection, a fast enough VPN connection, and Telemundo meant all went reasonable well. I couldn't understand most of the Spanish commentary but "GOAAAAAALLLLLL!" was pretty clear. And finally . . . 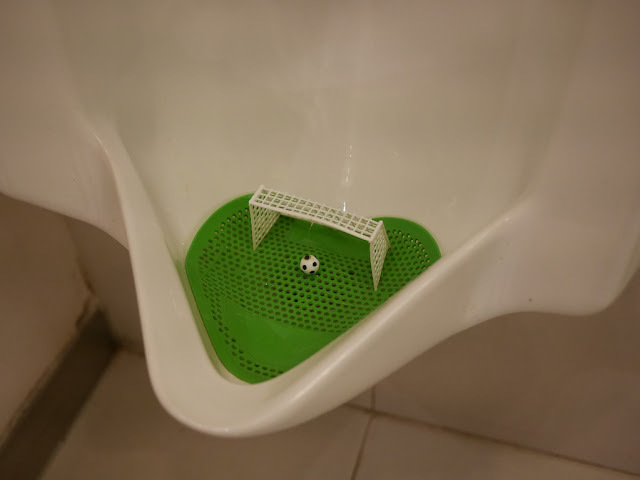 I saw an especially unexpected sign of the football spirit in Shenzhen in restroom urinals at several different malls. 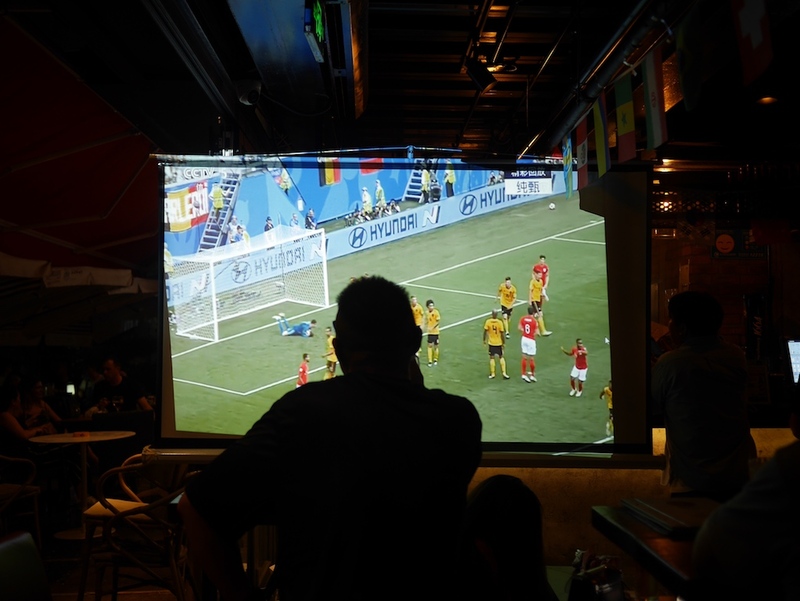 I didn't hear anybody shouting "GOAAAAAALLLLLL!" 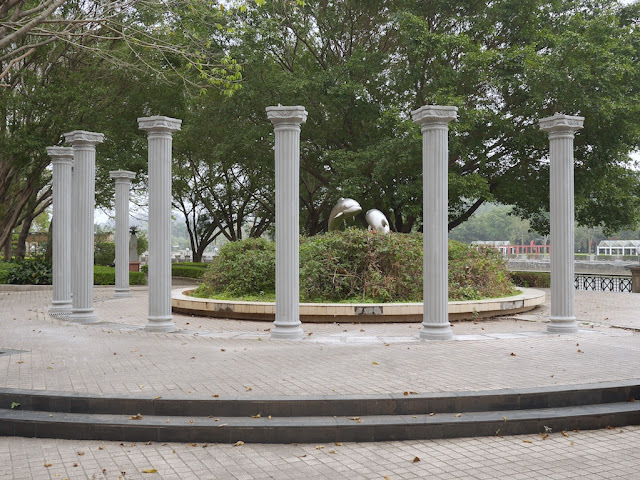 I have one photo I took in Shenzhen which I managed to upload as a test. Yes, that it is a cat proudly standing next to a fine roll of bubble wrap. Yes, I had to walk to the elevator lobby with my laptop to make this happen. Yes, it is more complicated than that. Maybe this post will publish. Maybe it won't. 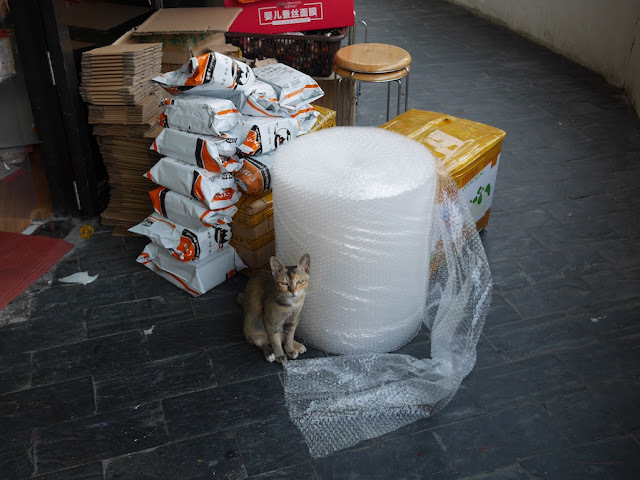 But that cat will have plenty of bubble wrap regardless. Judging by her apartment on the eve of her departure from Beijing to Germany, Liu Xia seemed completely unaware of her impending freedom -- or perhaps unwilling to believe it. 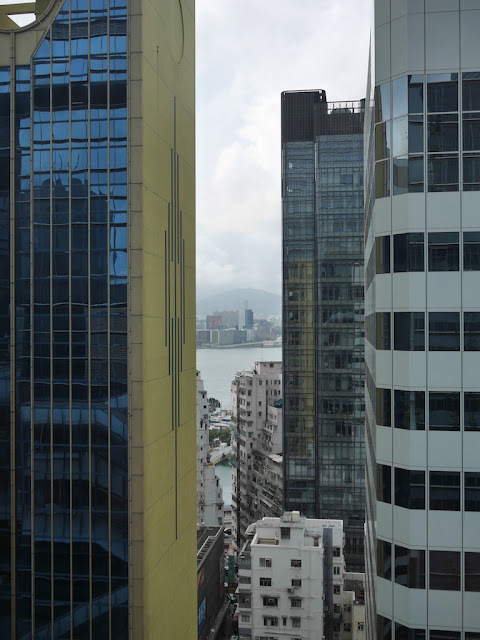 AFP on Monday evaded tight security to gain rare access to the fifth-floor duplex apartment. Perhaps the Chinese government deliberately allowed Davis to slip by security as a test to see if Liu Xia would follow a "request" not to say anything about an upcoming departure. Qin Yongmin was found "guilty of subversion of state power," the Wuhan City Intermediate People's Court said on its official website. . . . The European Union on Wednesday criticised a "deteriorating situation of civil and political rights in China, which has been accompanied by the detention and conviction of a significant number of Chinese human rights defenders." Post updated with additional tweets and attributions at 5:42 p.m.
Liu Xia, the widow of Chinese Nobel Peace Prize Laureate and human rights activist Liu Xiaobo, has left China for Europe after eight years under de facto house arrest. Family friends said that Liu Xia boarded a flight from departing from Beijing on Tuesday headed for Berlin . . . .
An accomplished poet and writer, Liu Xia was placed under house arrest by the Chinese authorities in 2010, after her husband won the Nobel Peace Prize but was unable to collect it due to his detention on political grounds. She had never been charged with a crime and was placed under close state surveillance. Concerns for her health mounted after she was heard in an April audio recording saying that she was “prepared to die” under house arrest following the loss of her husband. European diplomats had said over the last several months that China had left Ms. Liu in limbo as a show of resolve against Chinese human rights dissidents, despite aggressive efforts by Germany to press for her release. After Ms. Merkel’s visit to Beijing in the spring, the Chinese authorities let the Europeans know that if Ms. Liu’s case was not publicized, her release would be possible, a European diplomat with knowledge of the case said. Although Liu Xia is now in Europe, as reported by Catherine Lai and Tom Grundy in the Hong Kong Free Press she may not yet be entirely free. So some are calling for her brother to take a similar voyage. Some see positive signs in the news that extends beyond Liu Xia's freedom. Some don't see Liu Xia's release as a sign of broader positive change inside of China. It’s very good that Liu Xia is on the way to Germany. 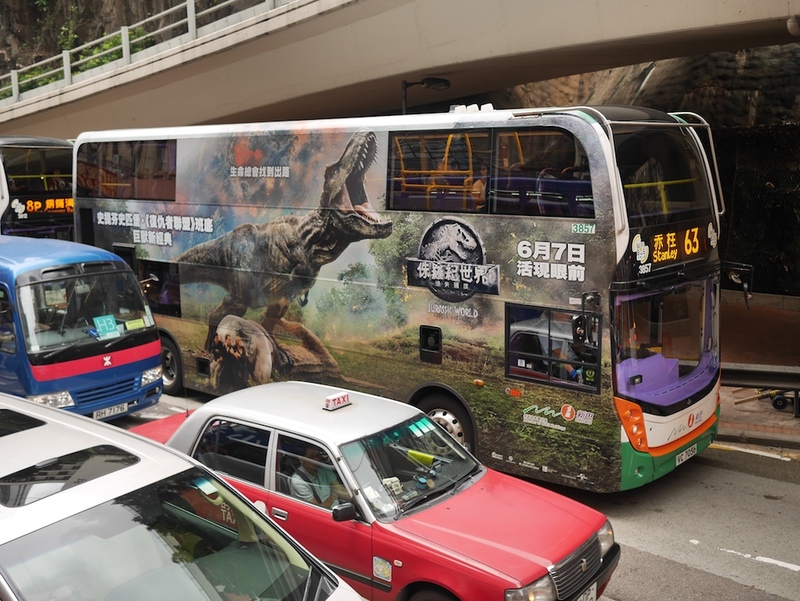 However, I do hope people dont read too much into this one positive development, do remember that the human rights situation in China remains truly mind blowingly horrible, and that this is not a sign of any change at all. I met Liu Xia, at a dinner in Beijing in 2006 with Liu Xiaobo. They were the electric, magnetic life of the party. What she endured since is monstrous. Her freedom is cause for celebration, but also a moment to reflect on the utter injustice of her captivity and now, exile. 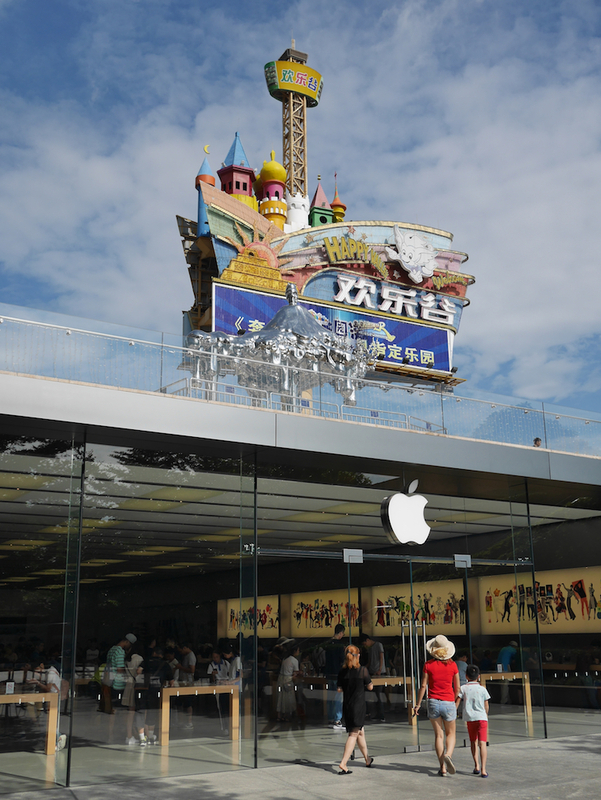 But the news may still suggest something about changes outside of China. I found Liu Xia's detainment extremely troubling and feared she would meet final circumstances similar to her husband's. So it is heartening to see she will now be in a far better situation, to say the least. Hopefully she can recover her health. And may she find it possible to safely express herself. 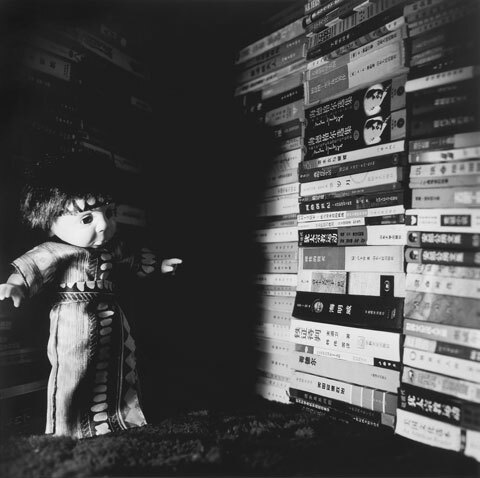 "Created by Liu Xia during the time of Liu Xiaobo’s labor reeducation in 1996-1999, the 'ugly babies,' as Liu refers to the dolls, are positioned in tableaux that evoke confinement and repression." 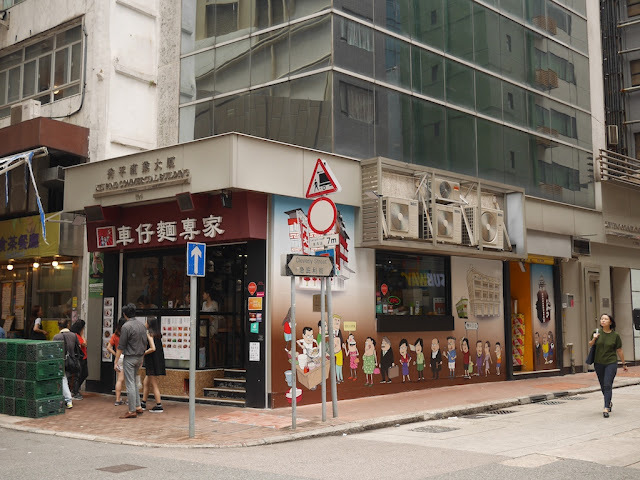 Early last year I came across the Cart Noodle Expert (車仔麵專家) — a restaurant in Sheung Wan, Hong Kong — and noticed the mural on its side. Remarkably, its depiction of a line of people waiting for noodles cooked at a cart included both Donald Trump and Barack Obama. So a few weeks ago I was curious to check up on the restaurant. 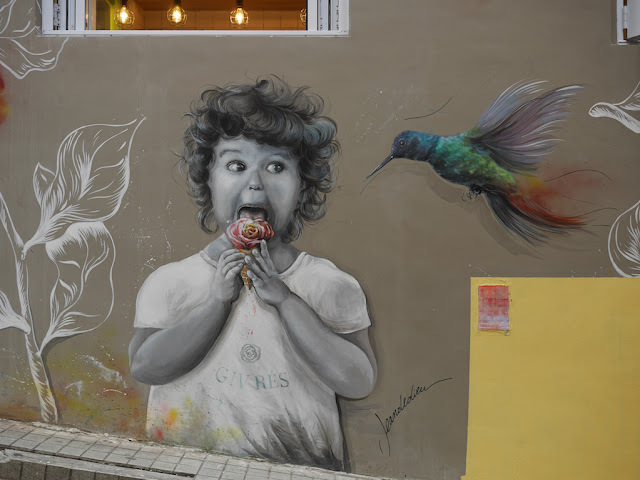 Much had changed in the world since my previous visit, but I found the mural appeared to be exactly the same. See the earlier post for close up photos of the mural. Obama is smiling while he waits in line. Trump isn't in line and is making a familiar definitely-not-smiling expression. 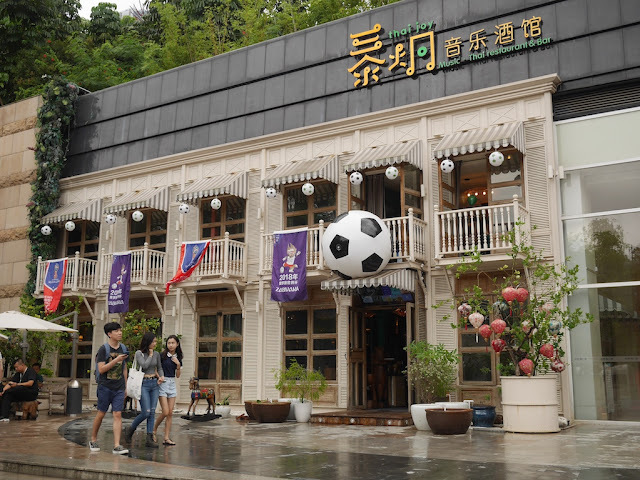 I had eaten just prior to passing the restaurant, so I am still not able to offer any opinion on the noodles. But it seems that if there's a line, nobody gets to cut in front. 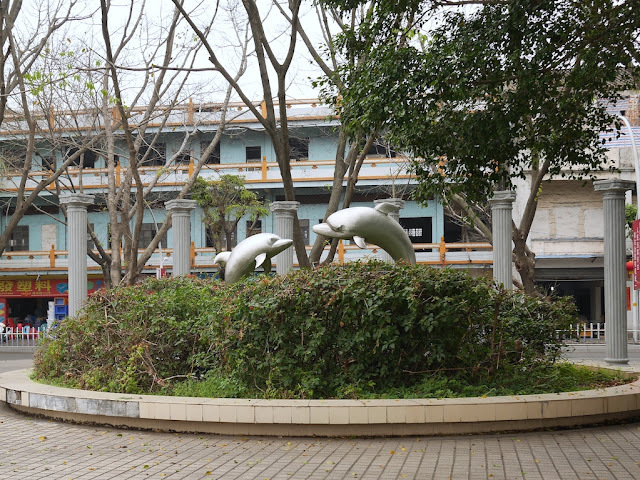 Next to the Jiangmen River in Jiangmen, Guangdong, earlier this year I saw a sculpture of dolphins. 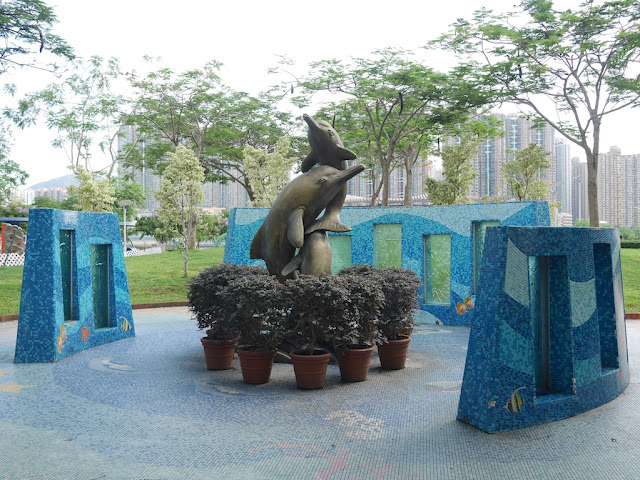 More recently at Tsuen Wan Park in Tsuen Wan, Hong Kong, I saw another sculpture of dolphins. In both cases I couldn't find anything indicating the name of the sculpture or the artist. Notably, they are both partially surrounded by structures. But the structures are rather different in style. And that's as deep as I'll go with these dolphins. Happy Fourth of July to the U.S. folk. Remember, fireworks don't work without fire. And rose-shaped ice cream attracts giant hummingbirds. Goodness can result from both of these things. But nothing is totally safe, so please take care and have a joyous day. Those giant hummingbirds are enchanting yet ravenous.